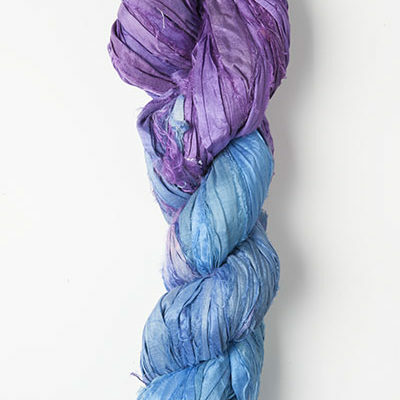 Hand dyed in India, these strips of silk fabric are made from the remnants left over from fabric manufacturing. 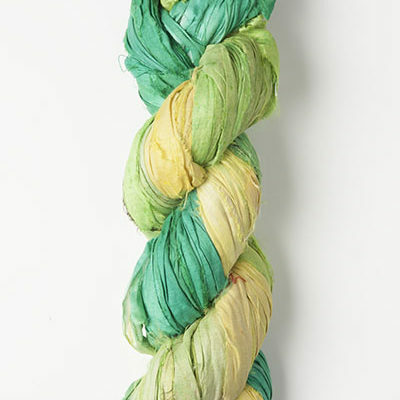 Each skein is mainly silk, but may contain small amounts of cotton or rayon. 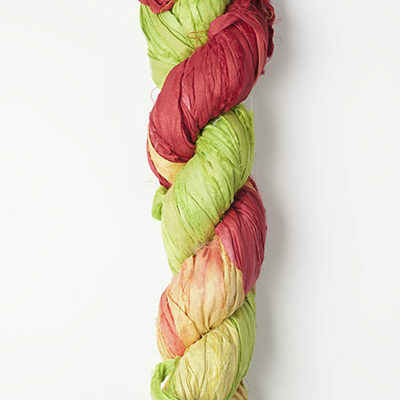 The skeins are dyed in a range of bright colours, and are very useful in creative embroidery as they are extremely colourful. The hanks will vary in width with interesting frayed edges, so are perfect for adding texture to any creative project. There would also be applications in patchwork, quilting, knitting, and embellishing, etc. Strip width: approx. 0.5” to 1.5″ (10mm : 40 mm), but can sometimes be considerably wider. Colours: Each one is different, but we could try to select one that has the colours you prefer. These silk strips are very economical in use as they are typically 27 metre long.